Eureka Springs Arkansas has become one of the nation’s leading wedding destinations for many reasons. One is the fact that Thorncrown Chapel is sculpted into the forested landscape of The Ozarks here in Eureka Springs AR. Another is that Eureka Springs is legendary for its sense of romance, a place like no other. But perhaps the most compelling reason for Eureka being the “Wedding Capital of The South” is that beautiful brides can proudly invite their friends and family to their special event inside a castle. The 1886 Crescent Hotel and Spa is a four-story, Victorian-style resort created from blocks of native limestone atop one of the highest point in all of the Arkansas Ozarks, a castle in the truest form. Picturesque and picture perfect… the ideal setting for your special wedding event. Built in 1887, historic Heritage Chapel & Reception Venue offers a beautiful and unique venue for your wedding and reception. 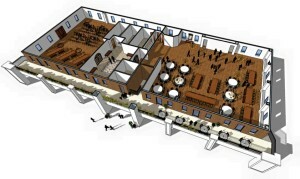 With a large banquet room on site, you and your guests have the convenience of your wedding and reception in one location. Our private courtyard is available for outdoor ceremonies, or have some fun and set up yard games during your reception. Brides love our spacious bride’s room with a multitude of mirrors and make-up stations. We also feature a groom’s room and full catering kitchen, completing the package for all-in-one convenience for you and your guests. Our wedding packages give you the freedom to create the event of your dreams at an affordable price. Lil’ Boom Town Wedding Venue and Event Center is a barn style venue. We have a sound system with a 9 ft. projection screen that you can play music videos, music from playlist or photo gallery. Kitchen for catering in food, drink containers, refrigerator and freezer for ice. The bride and groom rooms have lots of mirrors and a sink. 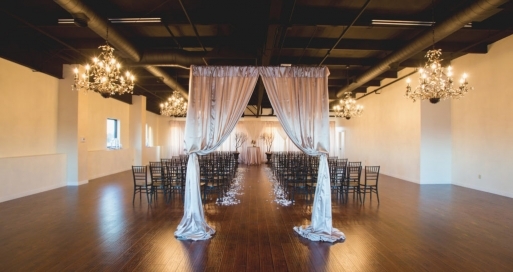 You can have an indoor or outdoor ceremony with the reception inside and we can seat up to 200 people.